Tom Frericks named MAITC Outstanding Teacher Award Winner! 5th grade teacher from Silver Bay earns cash prize and travel opportunity. Tom Frericks, a 5th grade teacher at William Kelley Elementary School at Silver Bay, MN, has been awarded the Minnesota Agriculture in the Classroom (MAITC) 2016 Outstanding Teacher Award. Frericks will receive a $500 stipend and up to $1,500 in expenses to attend the 2016 National Agriculture in the Classroom Conference at Phoenix, AZ, in June. This annual award is sponsored by the MAITC Foundation. Frericks serves as the school garden coordinator at William Kelley Elementary. He effectively embeds food and agriculture into core subjects such as science, social studies, nutrition and environmental education. 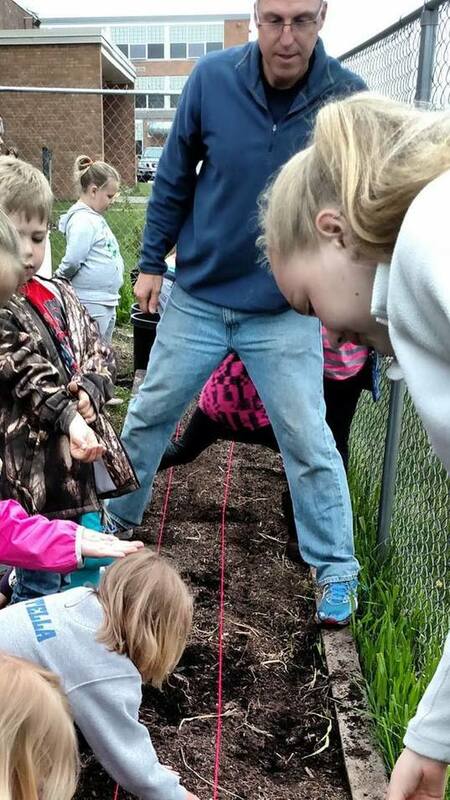 Frericks uses the 40-bed terraced garden, garage garden, strawberry and raspberry patches, apple and plum orchards on school grounds, as well as the Birdhill School Forest, to teach the state curricular standards as well as give his students firsthand experience in growing food. The second issue of the 2015-2016 school year for both the AgMag and AgMag Jr. should be arriving in your mailbox soon. All aspects of the print magazine can also be accessed at www.mnagmag.org. Don't forget to explore the educator resources, interactive games and additional student and teacher focused aspects of this site. MAITC is excited to kick-off 2016 with participation in several important agricultural events. Minnesota Farm Bureau Leadership Conference January 22-23, 2016 in Bloomington We are looking forward to interacting with attendees during two workshop sessions focused on classroom visits and agricultural literacy education resources. Minnesota Ag Expo January 27-28, 2016 in Mankato Stop by our MAITC tradeshow booth, 318, to find out how we can help you build ag literacy in 2016! We'll also be offering an interactive breakout session at 10 AM on Thursday, January 28th. Congratulations to Neil Kruse for being the first person to respond with the correct answer to our December trivia question. Neil knew that Minnesota Christmas tree farmers market 500,000 trees each year. The top five responders were Shell Thumberg, Sara Britton, Kristen Gustafson, Mark Swenson, and Myrna Welter. 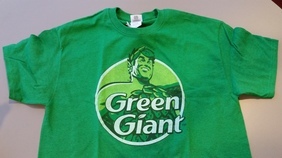 January Trivia - The first person to email the correct answer for the question below will win a Green Giant T-shirt. Where does Minnesota rank in the U.S. in production of green peas?